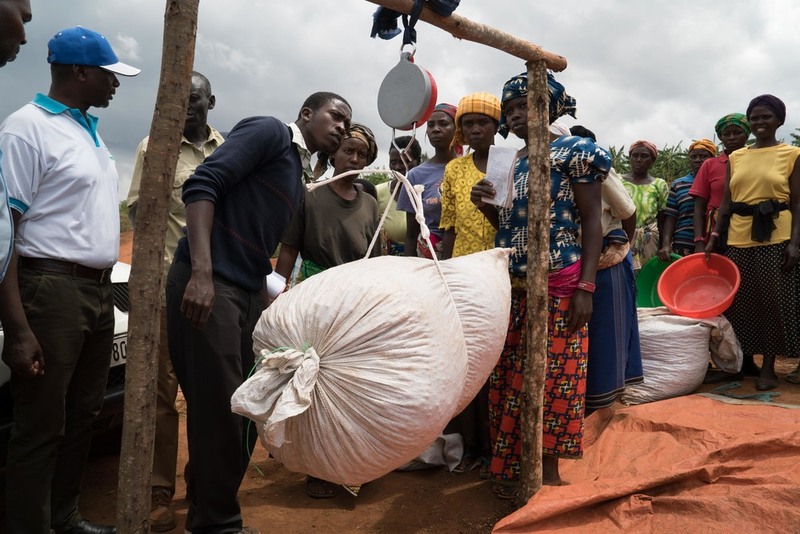 Recently, the members of the Twongere Umusaruro cooperative have been spending every day at their newly built coffee washing station in Kayonza, a district in the Eastern Province of Rwanda. The washing station is not just a processing facility for the women farmers; it’s a symbol of transformation. Last year, their coffee cherries had a different fate: Once harvested by members of the cooperative, they were delivered to a privately owned washing station. The owner paid the expected farm gate price per kilogram of cherries delivered, which according to the commodities market for Rwanda’s 2014 season did not exceed $0.35. Then the cherries were gone. 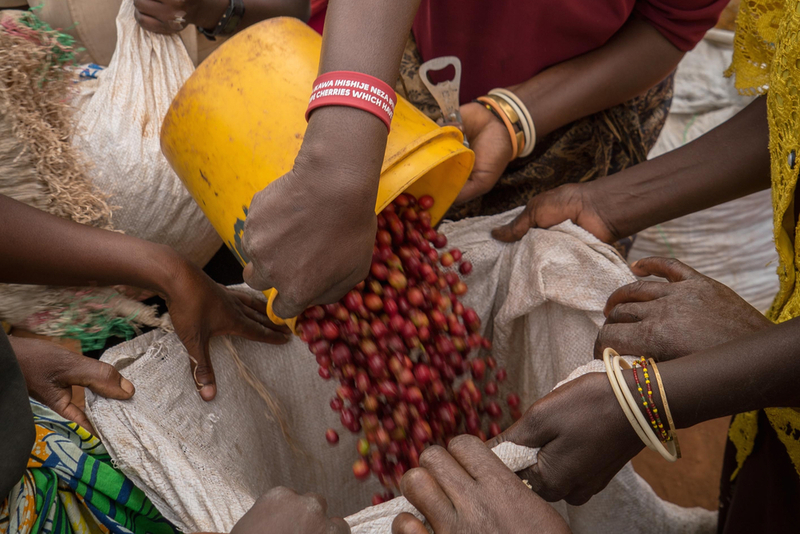 While this income was important to the farmers, the lack of transparency and inability for them to engage further in the coffee value chain limited the potential for business development. The new washing station gives the women much more ownership: The sun-dried coffee that comes out of the coffee washing station after processing cherries is still controlled by the members of the cooperative. The sale of that sun-dried coffee, whose value is much higher than coffee cherries before processing, is the ultimate income of the cooperative and its members. To date, the Twongere Umusaruro cooperative has processed more than 90 tons of ripe, quality coffee cherries grown and harvested by Sustainable Harvest® Rwanda training beneficiaries, and there’s still a month left in this harvest season. The training at Twongere Umusaruro has focused on laying the groundwork to produce specialty-grade coffee, not only by yielding high-quality and high-quantity coffee cherries, but also by effectively processing the cherries. This includes cooperative management, accounting, and structure, as well as best agricultural practices and coffee cupping to detect defects. This harvest season, it is evident that some of this training—and the cooperative’s organizational skills—are paying off. Twongere Umusaruro is running a business. The organization controls harvesting as well as processing. The processed coffee (including specialty-grade beans—recent cuppings of sample lots have shown scores as high as 91 on the Cup of Excellence scale) will be sold on the domestic and international market, with the cooperative leadership signing a contract with the buyer. Twongere Umusaruro’s success this season is an indication not only of good practices being implemented, but also of the potential for specialty coffee in Kayonza District. Known for dry weather and banana plantations, Kayonza is not often praised for good coffee. However, a Cup of Excellence-winning micro‐lot from this province has helped to change the pre-existing notions that it wasn’t a good coffee climate. Twongere Umusaruro is continuing to show that the area can, in fact, produce an excellent cup, and ideally in ample volume. After all, the cooperative’s name translates to “increase production” in the local dialect, Kinyarwanda. The washing station is one more step forward in the exciting transformation of these farmers’ lives.